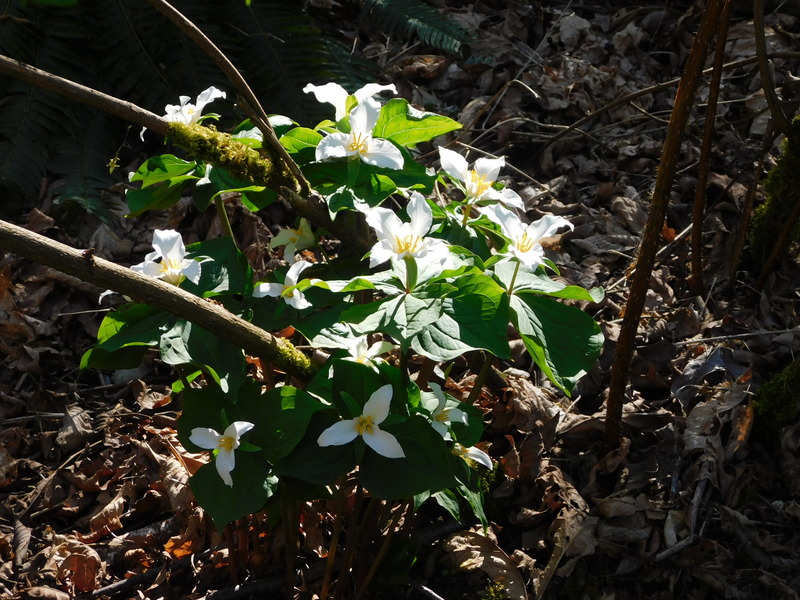 I am so happy to report that the trillium patch in Fauntleroy Park is looking spectacular this year. They are not quite to the glory of 5 years ago but at least they seem to have stop declining. We had a heavy snow this year and then the last couple of weeks have been very spring like. Warmed up so much that on the last day of winter it broke all records with upper 70s. This must have had a huge impact on the patch. 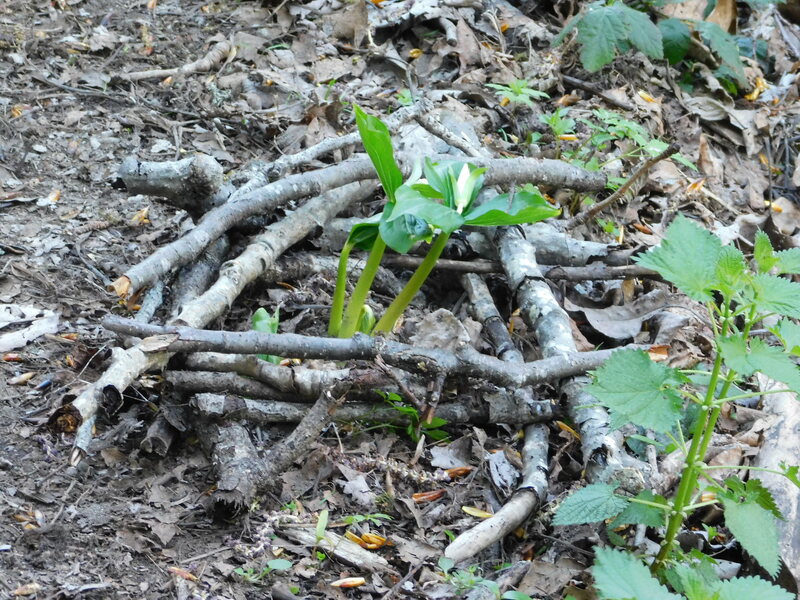 Lots of water from the snow and then warmth to make them bud. On the path have always been two little plants that seem to have escaped the patch. 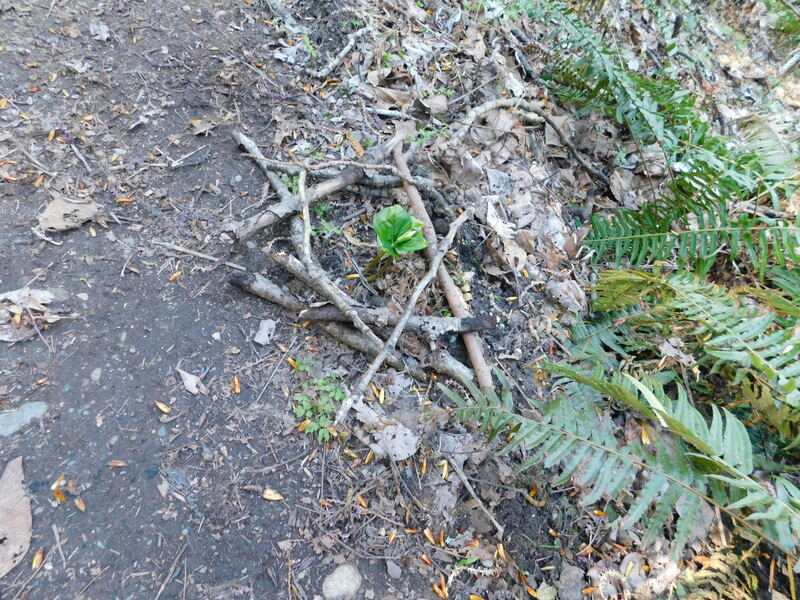 Some years they get trampled so I decided to build something that would alert walkers to them. 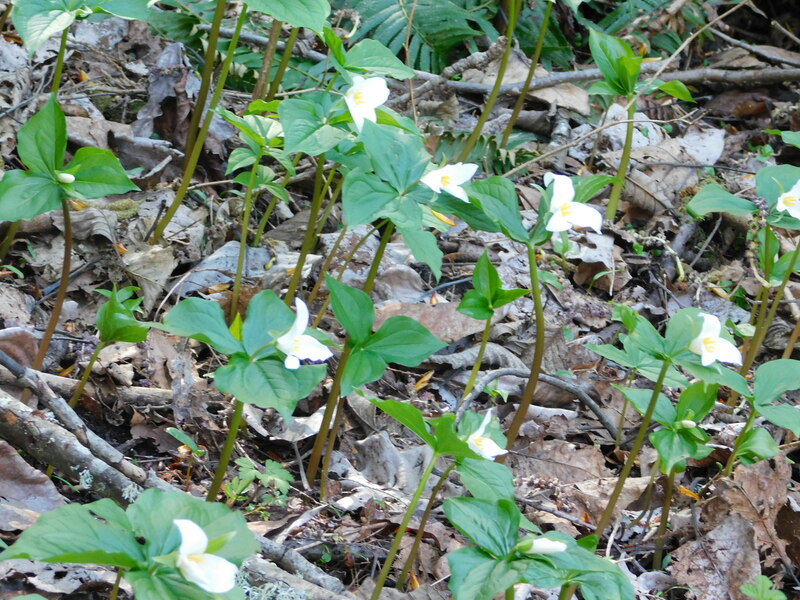 I walked onward to see how the bouquet trilliums looked like. I was not disappointed with them either.